The Jeremiah's J-List Rewards program is the coolest club around, featuring members-only discounts, FREE tasty frozen treats, and the ability to earn sweet rewards on your purchases! 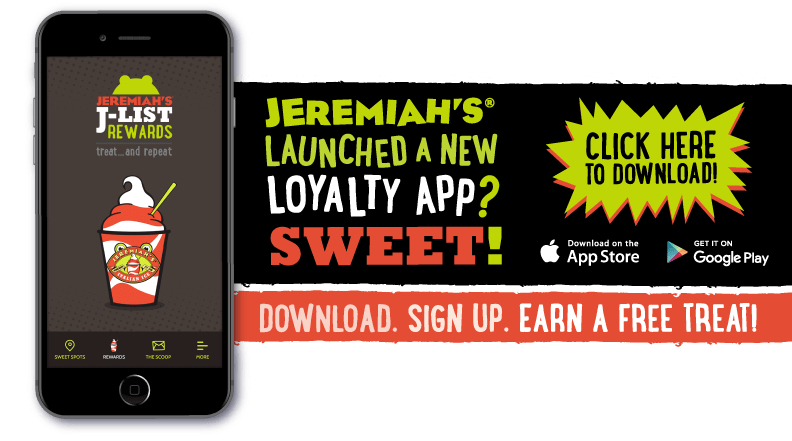 Jeremiah’s J-List Rewards is best utilized by downloading our official loyalty app to your mobile device, however you can register or access your existing account below. It appears you’re already a J-List member, however to access our NEW rewards program, review your details below and confirm by entering your password.